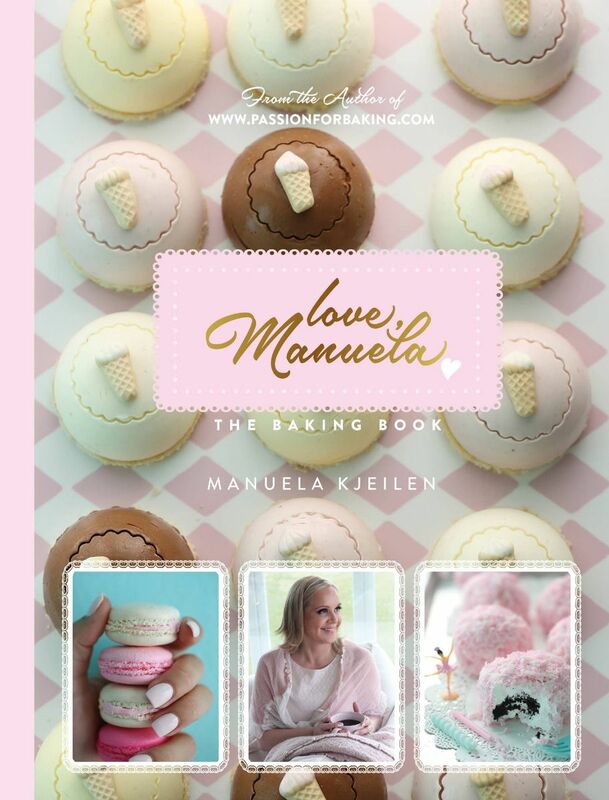 In Norway we have one famous cake; called success cake ( suksessterte) it has a gooey almond bunn, topped with a delicious custard cream, I have a video →here where you can see how to make it. 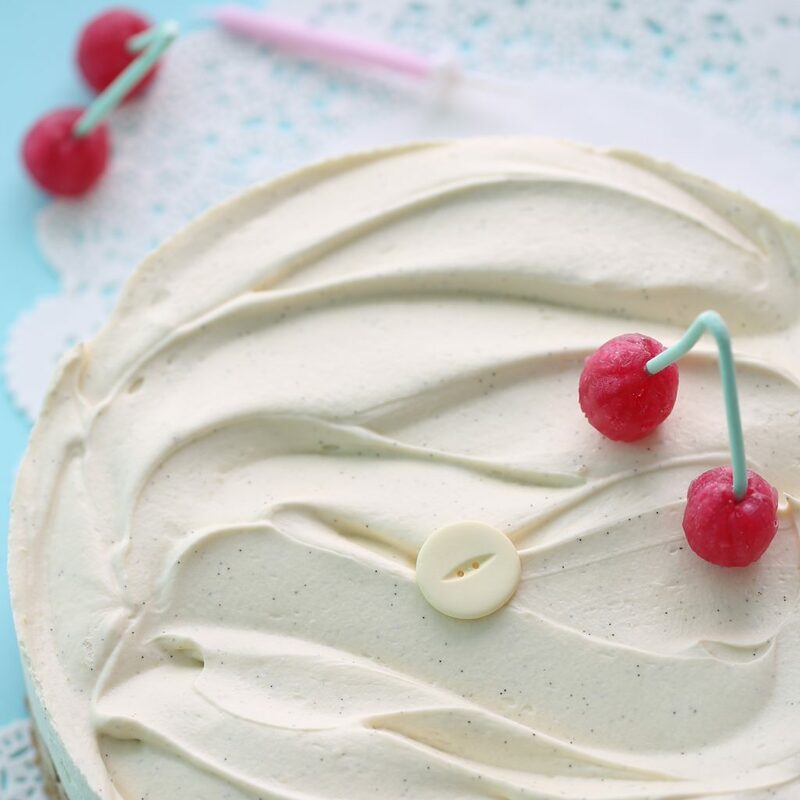 The cake is delicious, and the cream of this famous Norwegian cake is a custard. I then add pieces of cold butter into the custard while whipping it up, you get this fluffy cream. 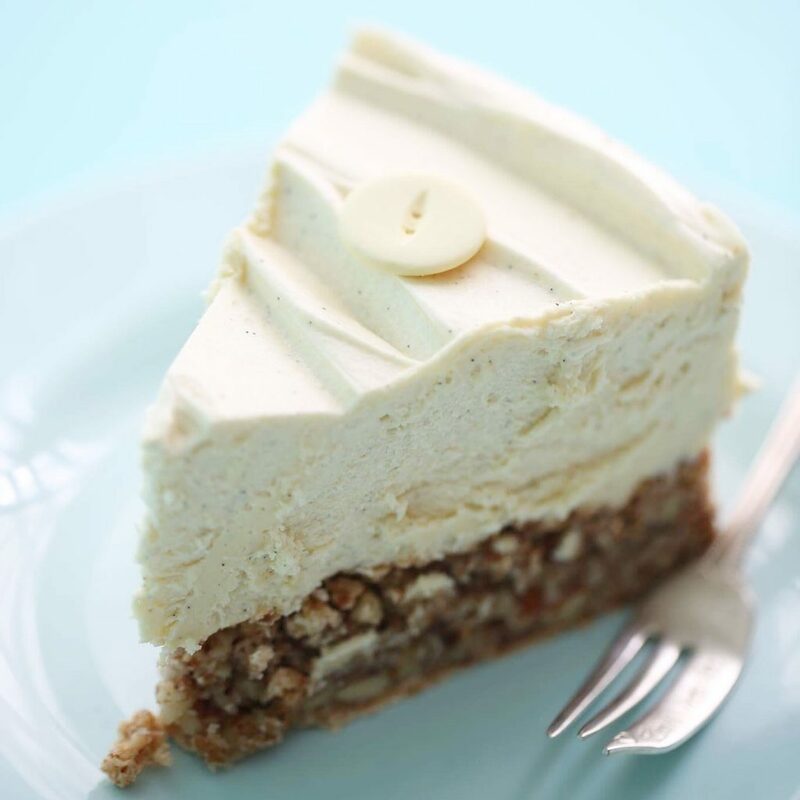 In this recipe, I changed it up a bit by adding cream cheese into the cream; and turning this classic beauty into a cheesecake version! The almond bunn is gooey and the cheesecake is all about vanilla, you see the vanilla flecks in the picture? I sure do love vanilla! I hope you try it and let me know if you love it as much as I do. 8-10 OZ PHILADELPHIA CREAM CHEESE, AT ROOM TEMP. DIRECTIONS FOR THE ALMOND CAKE. Preheat the oven to 320°F (160°C). 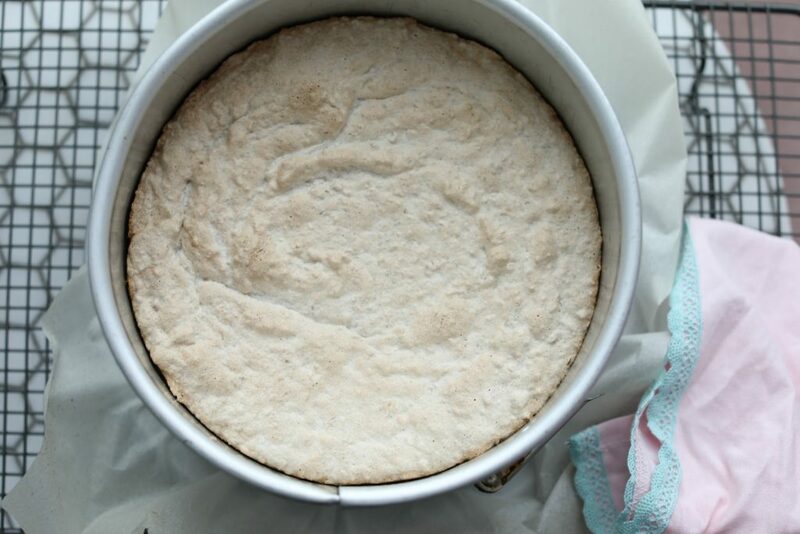 Line a 9-inch (24 cm) round springform pan with baking parchment, grease the sides and set aside. 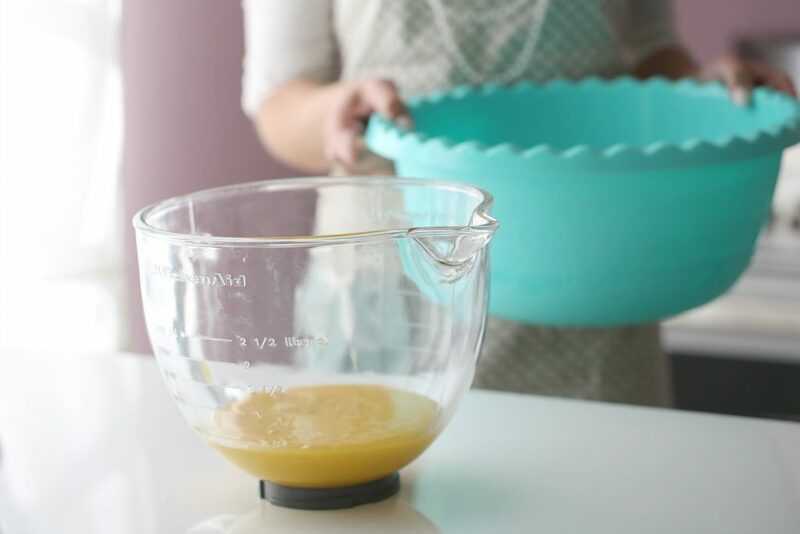 Place the egg whites and lemon juice into a mixing bowl and beat on low speed until foamy, about 30 seconds. Increase the speed to medium and beat until soft peaks form about 1-2 minutes. Add the powdered sugar one spoonful at a time. Beat on medium speed until very stiff peaks form and the meringue is glossy and thick. 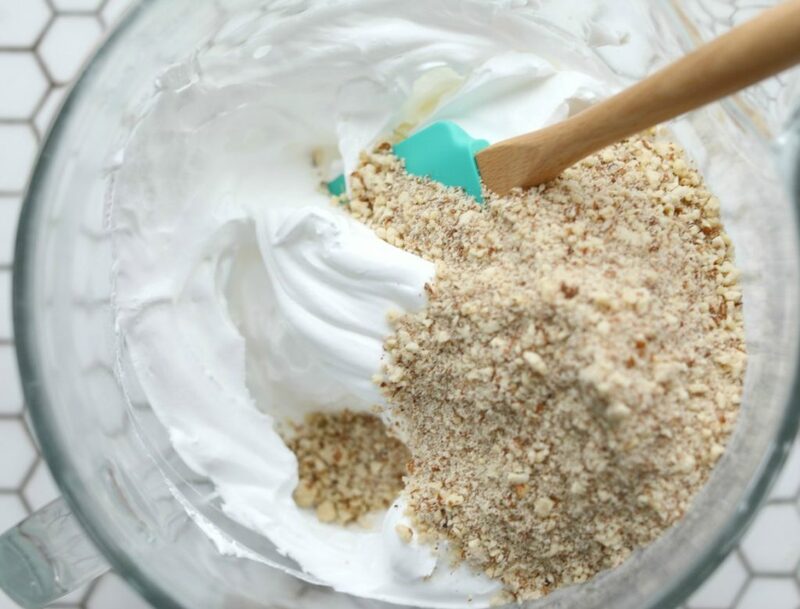 Fold in the ground almonds with a spatula. 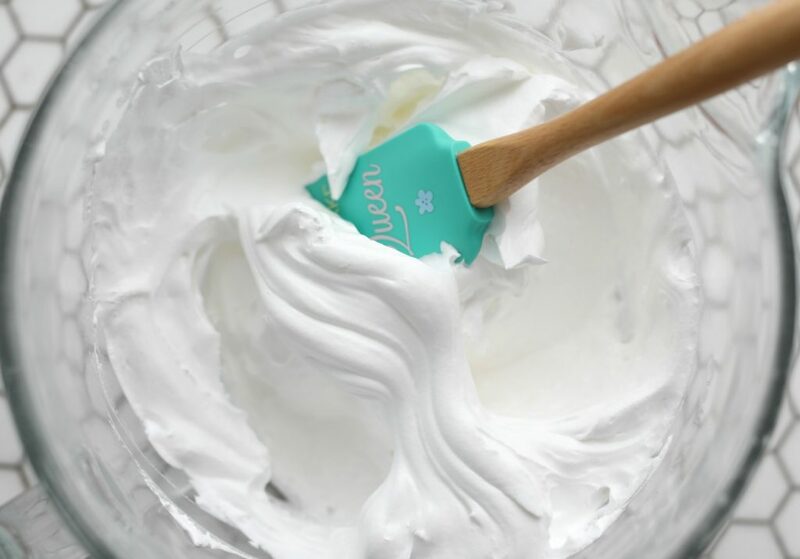 Use your spatula to make sure it is an even layer and to eliminate any air bubbles. Bake on the middle rack for 25-30 minutes. 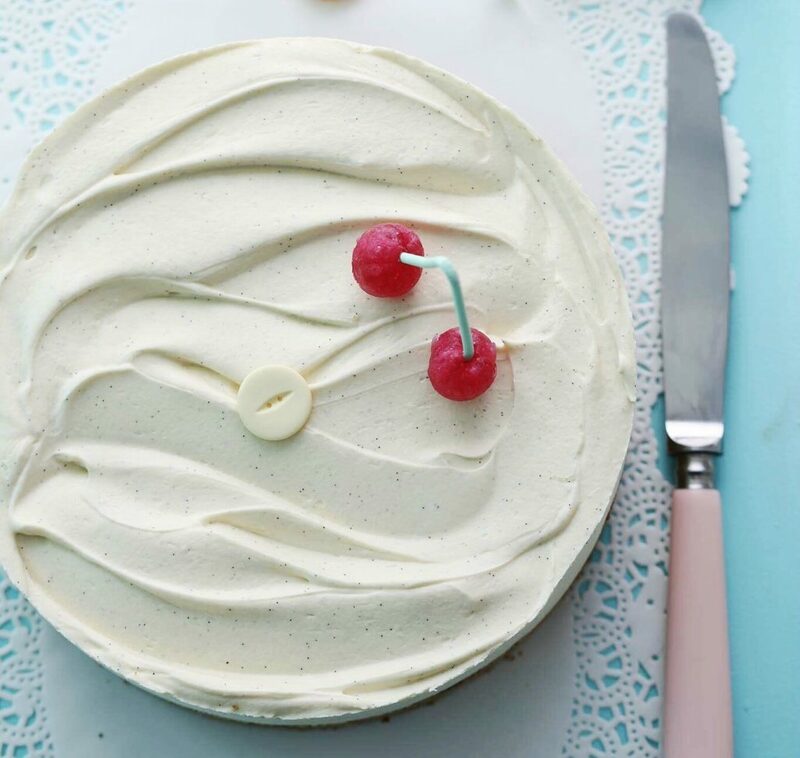 Do not over-bake this cake or it will taste dry. In a medium saucepan, put the egg yolks, heavy cream, sugar and vanilla bean paste or seeds of a vanilla bean. 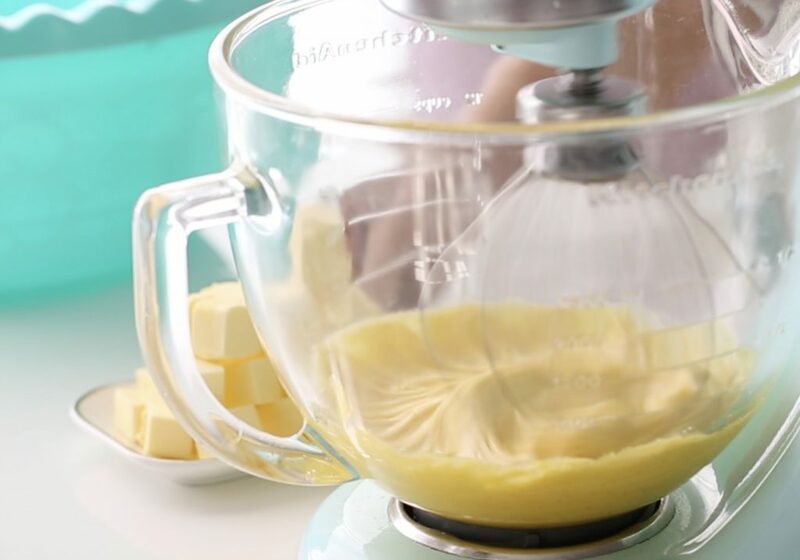 Over medium heat, whisk continually until the mixture starts to thicken. 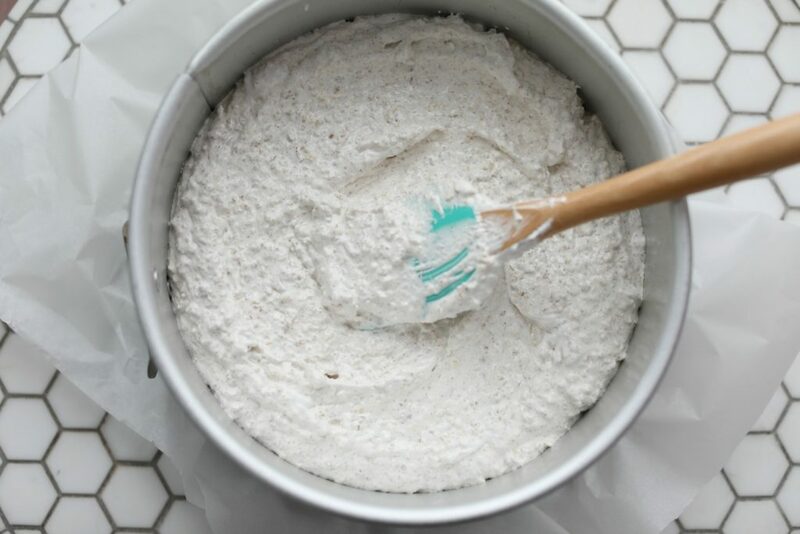 Remove from the heat and transfer to a mixing bowl, place the mixing bowl into a ice water or just cold water so it cools down faster, about 30-40 minutes. When ready, whisk for 5 minutes, you will see that the mixture will start to become lighter. 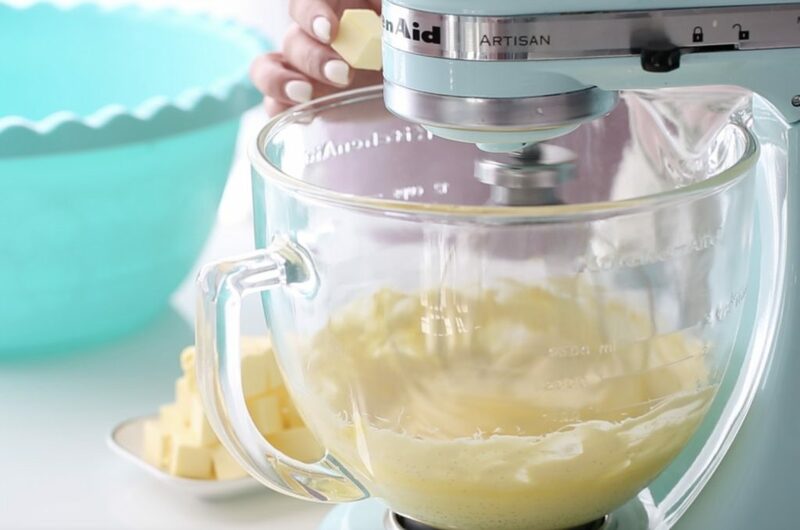 Change to a paddle attachment or use a beater-blade, and add cold diced butter, piece by piece and whisk until everything is fluffy about 5 minutes more, stop the mixer, scrape the sides of the bowl at times. Add the cream cheese and mix until combined and smooth. Spread the custard cream on top of the almond base and chill in the refrigerator a couple of hours until firm or preferably overnight. Decorate the top as you like, serve, cut and enjoy! FEW STEP BY STEP PICTURES; FOR THE ALMOND BUNN.